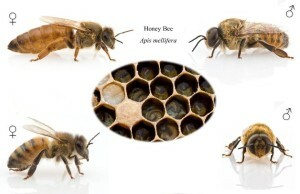 In the picture below, you can see the three types of bees in a hive. First and foremost, we have the queen; she has an elongated abdomen. Below her, is the worker; workers are female. 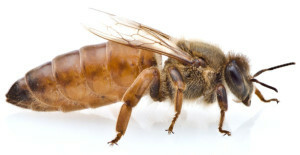 She is the most common bee in a hive. To the right is the Drone; drones are males. The eyes of a drone meet at the top of the head (as you can see in the bottom right of the picture). 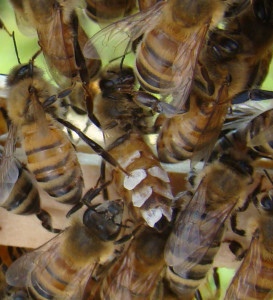 When a queen lays a fertilized egg, it will develop into a female (worker). If a queen lays an unfertilized egg, it will develop into a male (drone). A brief discussion about comb (honey comb). 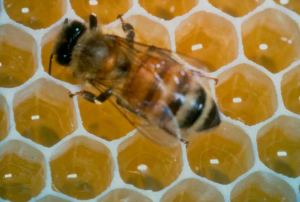 Honey comb (also called wax comb), or just simply “comb” is made up of wax that is excreted from slots in the abdomen of the workers. They form the hexagon cells that house the eggs laid by the queen. These cells also may contain pollen, nectar, or honey. When the honey is capped, it may be harvested by the beekeeper. Here you can see a worker on some new (white) wax cells. Next, lets discuss the life cycle of a bee. 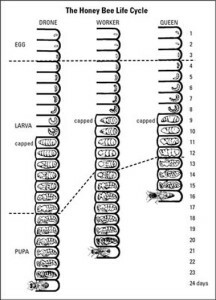 From the time an egg is deposited into a comb cell, it will take 21 days to release a worker, 24 days release a drone, but only 16 days for a queen. The egg will remain in egg stage for 3 days then begin the larval stage. Workers and queen cells are capped on day 9. This is important to know, especially when concerned with swarm control and queen management. Workers begin pupa stage on day 14, but a queen begins her pupa stage on day 12. Drones don’t get capped until day 11 and don’t begin the pupa stage until day 18 finally emerging on day 24. Floats like a butterfly, stings like a …..
We all know the answer to this. 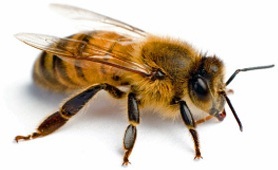 We cannot move on until we discuss one of the main topics associated with the bee….and that would be her sting. First, know that bees don’t normally just go around stinging. A bee knows that if she stings, she will die, as she looses her stinger and a small portions of her innards with it. The stinger is a defense mechanism and is primarily used for protection of the hive. With that being said, only a female can sting, and only the queen can sting repeatedly and without dying. 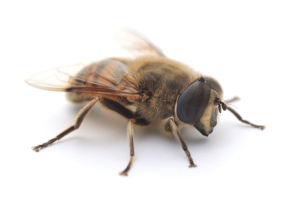 Drones do not have a stinger, instead, they carry the male reproductive organ in its place. Below we show a bee stinging the skin.